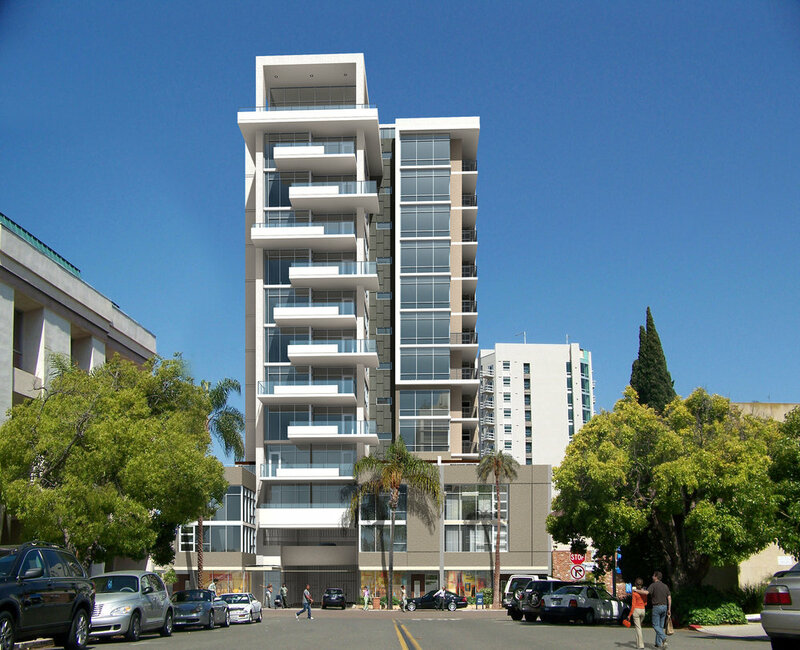 Tasked by a client with maximizing a 100’x 100’ lot in Bankers Hill, Jansen conceived a 14-story residential tower plus three row homes, all conforming to existing zone codes. Targeting the luxury market, each floor comprised a single home with wraparound city views and utilized an innovative car elevator system. The street-front row homes were shopkeeper units that maintained community character and allowed for small-scale retail or office, adhering to Jansen’s new-urbanism principles.